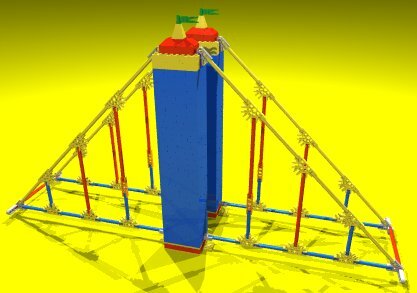 Suspension bridges are a great way to combine bricks and K'NeX. Bricks make solid towers and K'NeX spokes make strong "cables". Send ping-pong balls flying with this catapult! The wind is blowing and the blades are whirling! 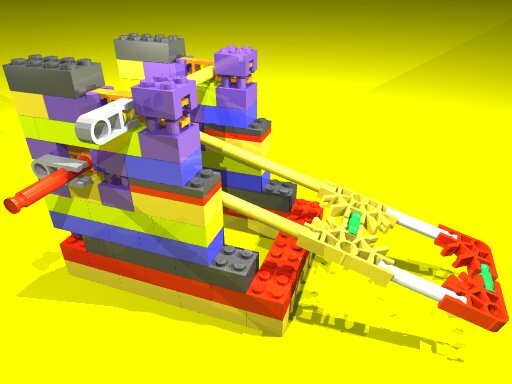 Hope Mr. Lego Man stays out of the way of those blades! 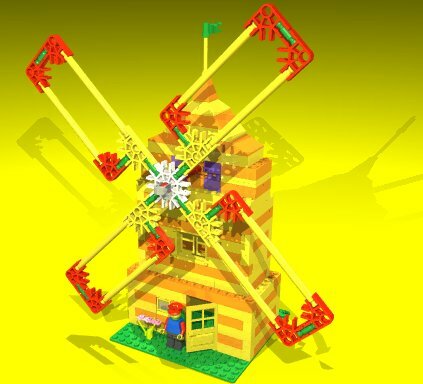 To see construction instructions for the Sp!oids Windmill, click here. 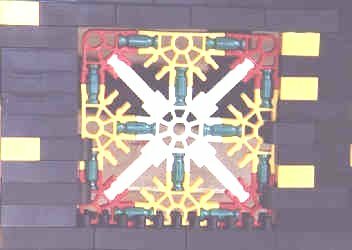 This is hard to see, but it's a K'NeX "stained glass" window in a brick building.